After visiting 3 major tourist spots in just one day in Marinduque (Paadjao Falls, Bathala Caves, and Maniwaya Island), I asked myself if Marinduque has more to offer. Well, I know for a fact that Bellarocca is in Marinduque. But I was in a tight budget that day, I could not afford staying in a world-class resort. I have to find a good alternative! Good thing Marinet, my FEU student, told me that we have to indulge in an island hopping escapade in Tres Reyes Islands or Tres Reyes Marine Sanctuary. Board the bus to Lucena (Dalahican). The terminals can either be found in Gil Puyat (Buendia-LRT station) or in Cubao. Bus companies servicing the route are Jacliner, JAM, DLTB or Lucena Lines. Using the aircon Jacliner bus, the fare from Cubao is P227.50 or 138 kilometers to Dalahican Port, Lucena City. From Buendia, the fare is P220 or 133 kilometers. From Sto. Tomas, Batangas, fare is P129. Using Lucena Lines ordinary bus, fare from Cubao is P159 and from Sto. Tomas, Batangas fare is P87. In case you boarded by mistake the bus with the signage only of "Lucena," you have to make another ride going to Dalahican Port. Triccyle ride is P160. Travel time from Cubao to Dalahican is 3-4 hours depending on the traffic. Arriving in Dalahican port, you have to ride the boat going to Marinduque. Using the fast craft, fare is P280-P312 and travel time is 1.5 hours. But the fast craft is not available if the weather is not good. Using the Ro-Ro,, travel time is 2.5 - 4 hours and fare of the adult is P260. Terminal fee is P30. Arriving in the port, you have to board a jeep going to the capital (Boac) and the fare is P60 and travel time is 20-30 minutes. From Boac, you have to ride another jeepney going to Gasan. Fare is P35.00. More specifially you have to alight at Purok Castillo, Barangay Pinggan. Travel time from Boac is more or less 1.5 hours. Aside from Bellarocca and Maniwaya Island, Tres Reyes Islands is a famous island hopping destination in Marinduque. It is under the jurisdiction of the town of Gasan. The islands' names are Gaspar, Melchor, and Baltazar. But only Gaspar has a white-sand beach. The two others contain only steep cliffs and rock formations. 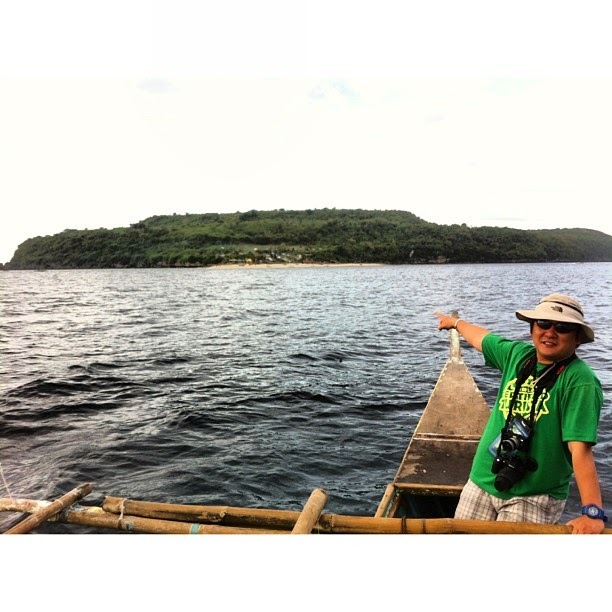 From Barangay Pinggan, we tried to rent a boat going to the said islands. We chose the three island destination. I was even able to have a discount since it was December (off-season for tourists). Our contact person for that tour was Kagawad Dodong (contact # 0930-976-2106 / 0946-175-8552). He is the local barangay councilor in-charge of tourism in that barangay. Our first destination that day was Gaspar Island! Good thing the waters were calm that day even though it was December. It took us only less than 30 minutes before we reached the island. But before reaching it, I noticed that there is an existing sandbar about 300 meters from the beach of Gaspar Island. Gaspar Island was our first destination and I was already delighted to see that apart from the beach and island itself, there is a sandbar. But the sandbar can only be explored when it is low tide and our arrival in the island was just an hour away from the high tide. Finally, we reached Gaspar Island. Gaspar's beach is not entirely white sand beach but there are white coral parts along the beach. Gaspar island is the largest among the three islands. Upon arrival, instinct immediately told me to explore the island on foot. Kagawad Dodong accompanied me in my exploration and he was sharing a lot of stories about the island. Marineth and Sofia also joined us in exploring the first island. According to Kagawad Dodong, we can even trek the top of the island but I told him that we were on a tight schedule that day and we decided to do that on my next trip to the island. Exploring Gaspar Island is a-must for tourists visiting the area. Do not just stay on the beach, EXPLORE! See what the island offers to you in your sight-seeing quest! After staying in the island for 45 minutes, we decided to go to the two other islands. Kagawad Dodong was again kind enough to show us the existing caves on the island and explained the history of the said caves. This cave is the largest among all the caves on the island and Kagawad Dodong shared there were burial remains recovered from the said cave. Off we go Melchor Island. It took us more than 30 minutes before reaching the second island due to the current of waters between Gaspar Island and Melchor Island. The weather was also changing. From the boat, I was able to see the existing cottages made by locals for rent to tourists. Again, be advised of the strong current of waters in the area. We did not dock at Melchor Island because it was already raining. Instead, we decided to go to Baltazar Island. 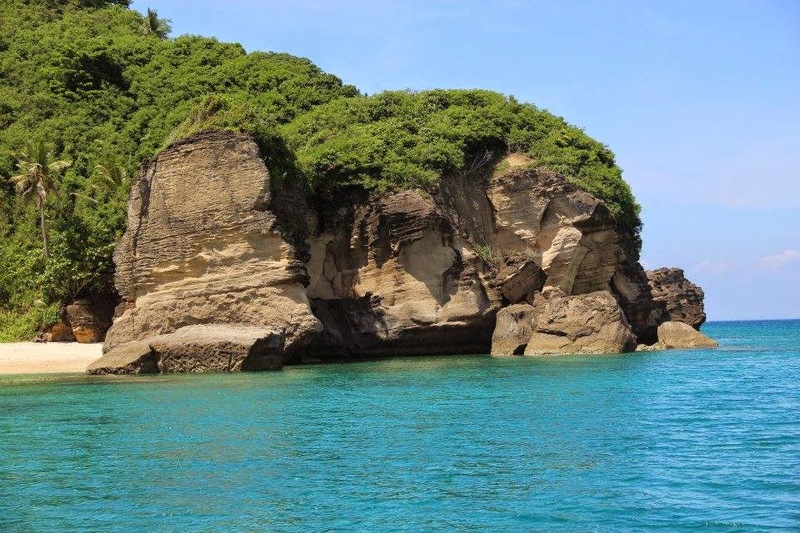 Baltazar Island is known as an excellent diving spot in the area. It has also an underwater cave that you can explore. We did not also dock at Baltazar Island due to the sudden change of the weather. Instead, we decided to go back to the docking area in Barangay Pinggan. From the docking area, we decided to go to another tourist spot in the area. We boarded a jeep to the town of Buenavista. 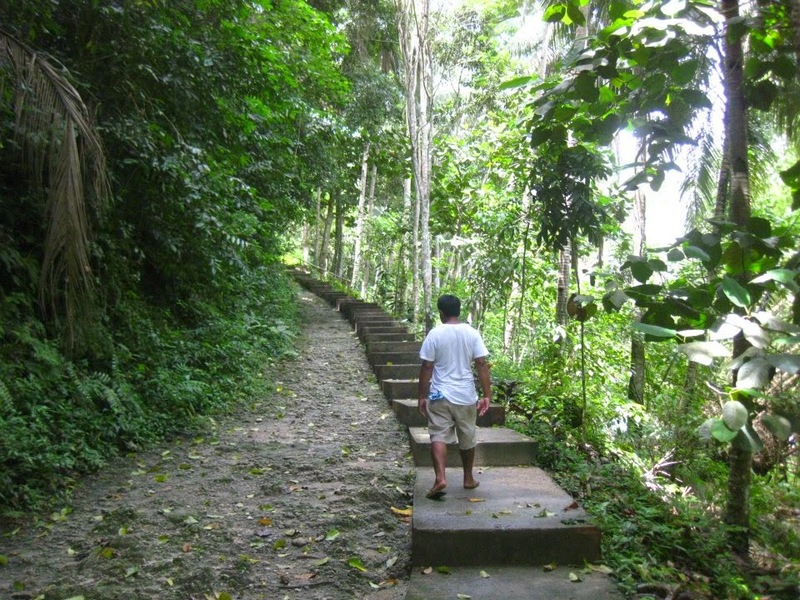 In the town of Buenavista, we rented a tricycle ride to Malbog Sulfur Spring. We rented it for P80.00 for our round trip ride. Normal fare is P15/pax to the area. It is about 2 kilometers from the town proper. Malbog Sulfur Spring is located at the base of Mt. Malindig. The sulfur spring smells like an egg and the smell stays in your body for quite some time. We took only souvenir pictures and decided to go to our next stop. Our second to the last stop was the Hot Springs in the same area. It is located about a kilometer away from Malbog Sulfur Spring. After seeing the hot spring and making the necessary inquiries, we left and proceeded to our last destination. It was already 1 pm and we have not taken our lunch! Last stop was the Banigan Falls. We rented a tricycle ride towards the falls. We passed three barangays (Cabugao, Tapuyan and Duyay) before we reached the jump-off point. It is 7 kilometers from the highway or a 25-minute ride and passing the river four times. From the jump-off point, we walked for 20 minutes and it was already raining heavily when we were walking. The driver was also our guide and the rent for the ride was P200.00 but we gave extra payment and tip for his service as our tour guide. Unfortunately, the Banigan Falls was destroyed by the last typhoon and we were told that the locals will try their best to reconstruct the falls. Disgusted, we took a dip and enjoyed the cold waters and rushing and unceasing rain! It was Really More Fun in Marinduque! It was my second time to go to Marinduque. The first time was way back 2006 and exploring Marinduque was one of my first travels in the Philippines. Although the first travel was only good for two days, the memory lingered and I wanted to relive the memory and so I went back but this time for four days! Day one in Marinduque involved a bit of city tour and looking for the best and/or the cheapest hotel in Boac. The following morning, even though it was raining, we (Sofia, Marinet and her father) boarded the pick-up truck en route to our destination. I seated at the back of the pick-up in order to enjoy the ride (though it was raining) and to get the best view of the town. I did not mind the rain at all! From Barangay Laylay, Boac, we traveled to Bocboc, Mogpog for 45 minutes. We had to stop several times to coordinate with the locals and ask for directions. The view in this tour was different. I saw a river but I did not see the water flowing in the river! Finally, we arrived at the jump-off point. Good thing Marinet's father was kind enough to bring his pick-up, otherwise it would have been a longer trip to the falls. Everybody was excited and enthusiastic upon our arrival at the site. After seeing the falls, I forgot the 45-minute raining ride and was mesmerized by the sight of the falls. I climbed to a higher area to get another shot/angle of the falls and my effort was rewarded! After staying in the falls for 45 minutes, we decided to go to our next destination. This time the ride was longer. It took us 1 hour and 45 minutes before we reached Sta. Cruz Port. The price of the boat was P3,500. But I rented the smallest boat for P2,000. Boatman - Diosdado "Daddy" Rovedillo (contact no. 0909-113-1257). But our actual boatman was Mang Albert but he has no cellphone. At Sta. 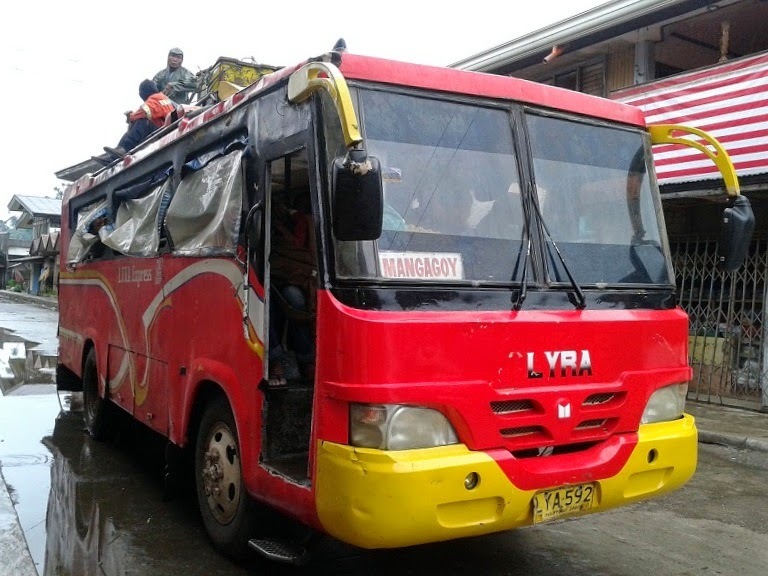 Cruz Port, there is daily ride to Catanauan or General Luna, Quezon (10:00 am) and travel time from Sta. Cruz to Quezon is 2 hours. There is also a boat going to Mindoro in Gasan, the boat leaves 11 am. After nearly 2 hours of boat ride, we reached the our second stop for the day. The island has several resorts that you can choose from. But we were not there to stay, we went there to explore the island. And so we walked around the island. But because of the bad weather that day, we were not abe to see the rock formations of the island. There is always next time for this! Neither we were given opportunity to see the Palad Sandbar. After reaching the port, we headed to our last destination for the day - Bathala Caves! The caves are located also in Sta. Cruz. Spelunking in the Bathala Caves is a must-try experience in Marinduque! The Bathala caves is complex network of seven caves but only four of the caves have been explored. Only three are open to tourists. The Simbahan Cave is the biggest. The Phyton cave contains snakes or phtyons. The third has an underground river. And the fourth houses human bones believed to be the remains of |World War II soldiers. Entrance fee is P50/pax and the guide fee is P300. Spelunking is not new to me. In fact. I have been doing this activity for years. But I still got excited after seeing the interior of the Church Cave. It is Really More Fun in Marinduque! that one must ride either the habal-habal, skylab or pabahay! All these means of transportation involve riding a single motorcycle (usually a Honda TMX motorcycle for its strength, endurance, and power to carry numerous passengers). In Mindanao, the habal- habal and skylab are common sight and mode of transportation. It is a-must to experience the ride as an adventurer/explorer! In my nearly ten years of travel around the Philippines, here are my ten most unforgettable and best rides using the habal-habal! The skylab ride towards the Awao Falls is the best ride ever in my entire life! Imagine, 11 passengers on board the skylab and cruising around 50-60 kilometers in a rugged, muddy, uphill, downhill, and zigzaging road! We even had to cross a river which was then three feet high! In case you are not convince, what about using the single motorcycle to carry logs! Number two is my ride to Campawasan Curtain Falls and Cateel, Davao Oriental. Imagine, going to Campawasan Curtain Falls from the town of Baganga (30 plus kilometers back and forth) under the siege of Typhoon Seniang and crossing the river four times. But that is not the end of the story, after going to the falls, I hired him again as my ride to Cateel Davao Oriental (45 kilometers from Baganga) and then reaching Cateel, going to Aliwagwag Falls (24 kilometers) and then going back to the town of Cateel (24 kilometers again) for my overnight accommodation. I was wet, tired, and cold after the adventure!!! There were three of us on board the habal-habal and we were descending from the mountain at the speed of 40-50 kilometers. The road was muddy and rugged. And topping the scene was the Signal No. 2 in Samar! The Sabtang ride is memorable in the sense that we had to board the motorcycle to the boat going to Sabtang Island and then journeying the entire island (all the barangays!) using the motorcycle and it took us nearly 5 hours to do the feat. It took me two days of habal-habal ride before I was able to finish going to all the major tourist spots in Camiguin. How about getting lost? The driver did not know the way towards Tinuy-an Falls! Normal travel time is only 20 minutes but it took us 1 hour and 45 minutes before reaching the falls. Searching and seeing three falls, getting bewildered by the biggest tree, and climbing the mountain using the habal-habal was really an adventure! Using the extended habal-habal, we went to the 7 falls, 3 lakes and mingled with the tribe! This one is the most expensive. Imagine, P300/hour! And we had to go to the major tourism spots in Samal Island. We finished the tour in four hours of fast-paced tour! Worthy of mention is my long ride in Biri Island, Northern Samar! There are three things that interest me when I travel alone: beach, caves and falls. 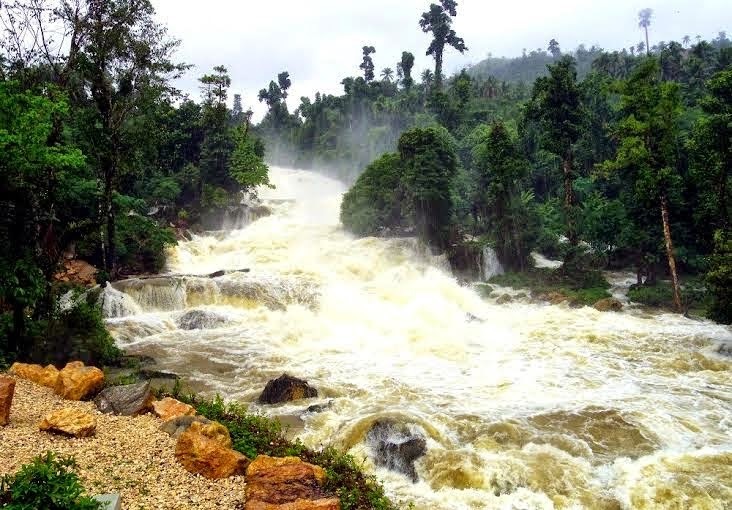 But waterfalls chasing is of paramount interest during my rainy season adventure. Last December, 2014, I ventured into another waterfalls chasing in Mindanao. I've had a series of my solo waterfalls chasing in Laguna, Ilocos, Rizal, Quezon, Cebu, Mountain Province, Negros, Camiguin and a whole lot more. But this one is extraordinary because Mindanao is said to have the best. 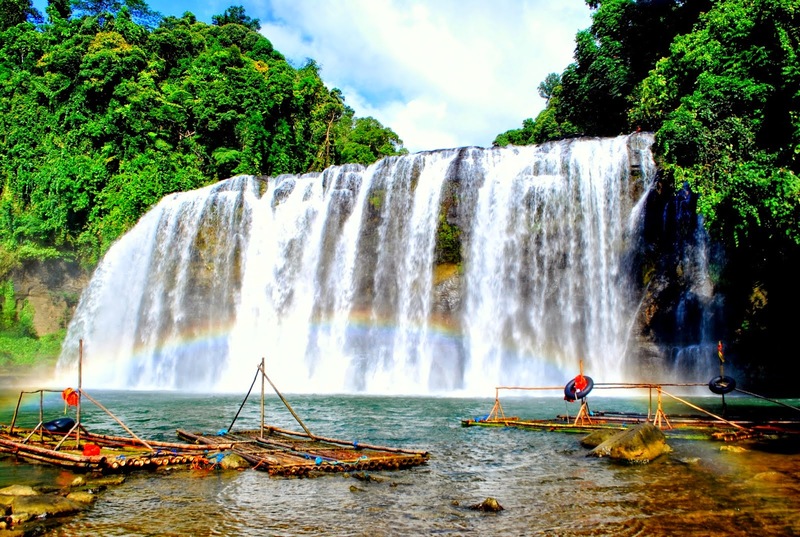 biggest and tallest waterfalls in the Philippines. Originally, Asik-Asik Falls and Bani Falls of North Cotabato were part of the itinerary but since they are out of the way and I was given only less than a week to do this feat, I had to forego the two falls for the meantime and wait for summer. Three years ago, I went to Maria Cristina Falls, Tinago Falls, Cathedral Falls, and Limunsadan Falls in Lanao Del Norte. About a year ago, on the other hand, I went to the seven falls of Lake Sebu. So I did not bother to include them in this escapade. So from Davao City, I went to my first spot which was in Maragusan, Compostela Valley. 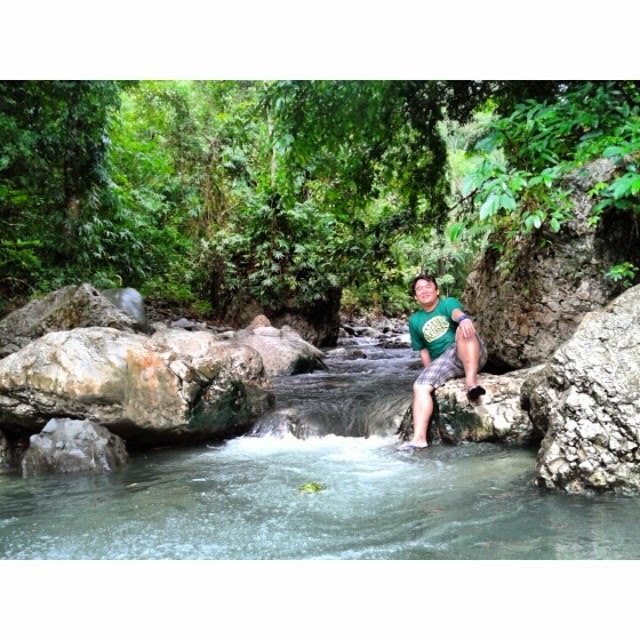 Marugusan has numerous falls such as Tagbibinta, Bisnar, Ugong, Cesar, Marangig and Pyalitan Falls, among others. According to the locals, there are more or less 20 falls in the vicinity. the Campawasan Curtain Falls as part of this tour because of its grandeur. I was not able to see the falls because of Typhoon Seniang. 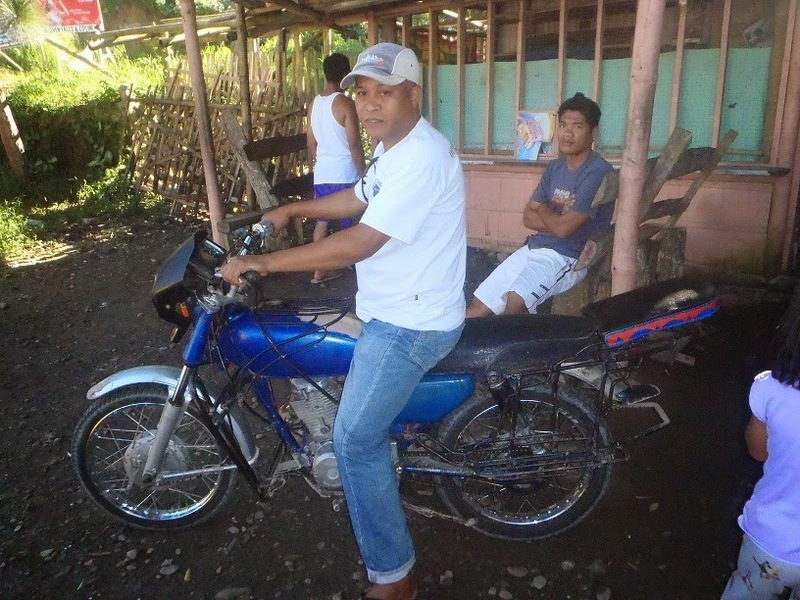 Enduring the typhoon, I rode on a habal-habal (single motorcycle) ride to my next stop - Cateel, Davao Oriental. There I went to the biggest and tallest falls in the Philippines - Aliwagwag Falls. I had to stay overnight in Cateel because of Typhoon Seniang and I went to my next stop the following morning, Bislig, Surigao Del Sur. There I went to the famous Tinuy-An Falls. Unfortunately, Typhoon Seniang was still in Mindanao. From Bislig, the last stop was 2.5 hours away, and the last stop was Monkayo, Compostela Valley. 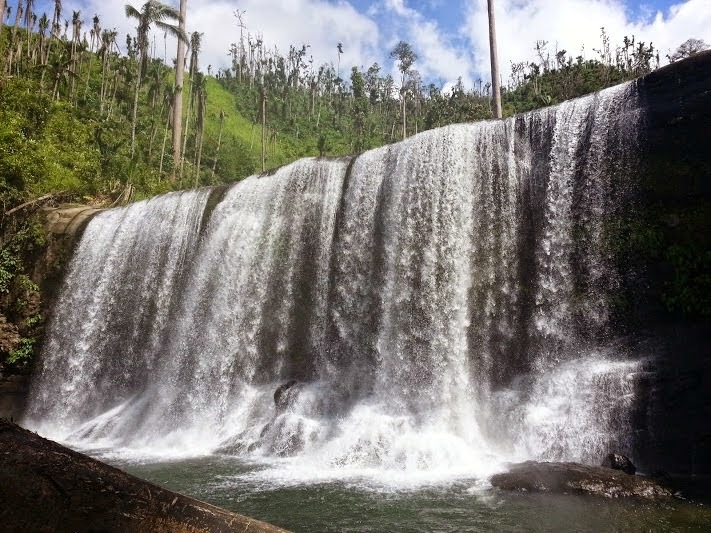 The town of Monkayo boasts of the Awao Falls consisting of three falls and Falls No. 1 is the biggest and the tallest in Monkayo. I told myself after the adventure that I have to go back this summer 2015 and see once more the said falls plus Asik-Asik and Bani Falls. From Cateel, Davao Oriental, I decided to go to my next stop. I was in Mindanao last December 2014 for my waterfalls chasing adventure. 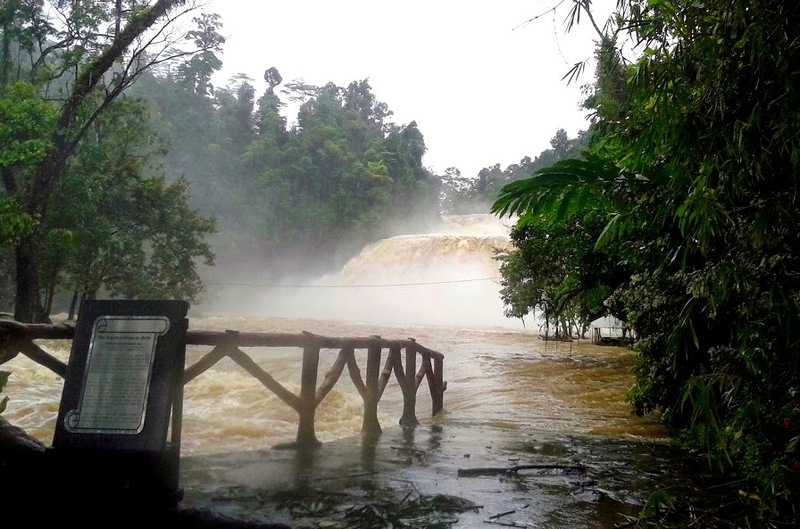 And the next stop was Tinuy-an Falls in Bislig, Surigao Del Sur. I was on the fourth day of my adventure. 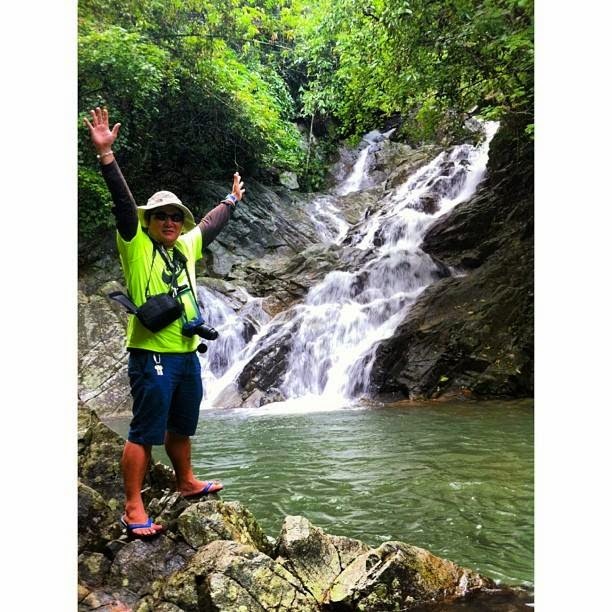 I was then already finished with the Maragusan Falls in Compostella Valley, Campawasan Curtain Falls in Baganga, Davao Oriental and Aliwagwag Falls in Cateel, Davao Oriental. Aside from waterfalls chasing, I was also trying to endure the winds and rains brought about by Typhoon Seniang. From Langihan Terminal, ride a bus bound for Mangagoy (Bislig). Take a bus bound for Butuan and then take the bus bound for Mangagoy. Take the Lyra Express or Mallen Bus to Mangagoy (once-a-day trip only at 5 am). Travel time is 2.5 hours and the fare is P120.00. In Mangagoy, you have to rent a habal-habal (single motorcyle) to Tinuy-an Falls. Travel time is 20-30 minutes from the town or 17-18 kilometers. The habal-habal can accommodate up to 3 passengers for a price of P100.00/pax or P500.00 round trip ride. Should you opt to go to Enchanted River in Hinatuan, the price is P1,000.00 - P1,500.00 round trip back to Mangagoy, Bislig. Take the bus going to Cateel either at Ecoland or Gaisano Mall Terminal. Better use the Ecoland Terminal. The fare is P300.00 for 200 kilometers and travel time is 7 hours. 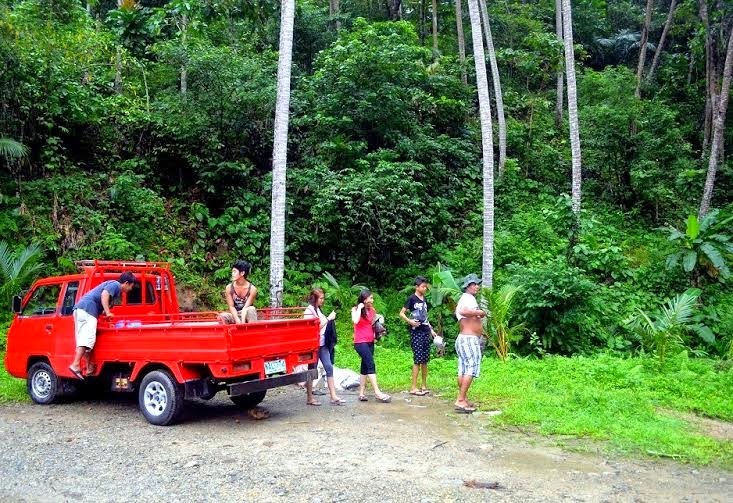 In Mangagoy, you have to rent a habal-habal (single motorcyle) to Tinuy-an Falls. Travel time is 20-30 minutes from the town or 17-18 kilometers. The habal-habal can accommodate up to 3 passengers for a price of P100.00/pax or P500.00 round trip ride. From Bislig, it is 120 kilometers for the price of P135.00. Travel time is 2 hours and 45 minutes. After 2.5 hours using the non-aircon Mallen bus, we reached Barangay Mangagoy, I immediately hired a habal-habal for P500.00 round trip ride and the name of the driver/tour guide was Jessie (contact number 0918-777-7138). The ride lasted for 20 minutes but we had to cross several inundated areas and labor rough roads. But I did not mind the travel since I was used to ride the habal-habal. Finally, we reached the site. We were welcomed by Kagawad Ilodo (contact no. 0946-663-3378). 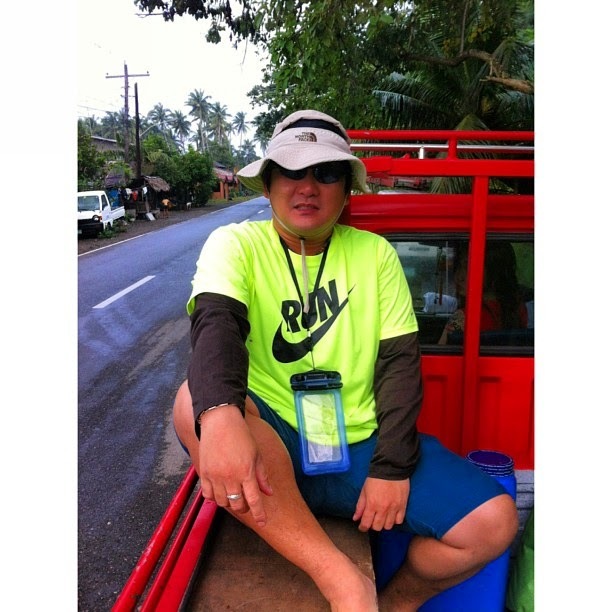 He is the officer-in-charge of Tourism in their barangay, more specifically for Tinuy-an Falls. Under normal circumstances, the Tinuy-an Falls looks like the picture above but thanks to Typhoon Seniang, I was given a different perspective! Kagawad Ilodo told me that because of Typhoon Seniang there was an abnormality in the surge of waters. Best time to visit the falls is during summer season. This is the wrath brought about by Typhoon Seniang! Good thing I was prepared for the weather that day! Thanks Jessie for the habal-habal ride! It was Really More Fun in Tinuy-An Falls!